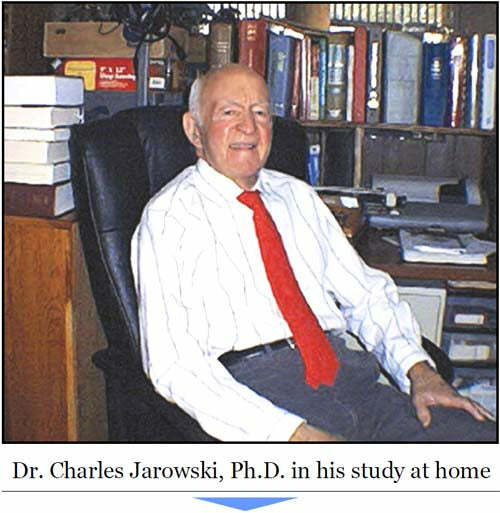 Dr. Jarowski spent many decades researching the mechanisms that control blood sugar and cholesterol. Dr. Charles Jarowski, Ph.D. was the first Director of Research and Development at Pfizer Inc. and became renowned over the next twenty years as he authored and co-authored over 50 publications and patents. Pfizer, Inc. became the largest pharmaceutical company in the world, and rather than join the board of directors, Dr. Jarowski retired and joined the faculty at St. John’s University as professor of pharmaceutical sciences. Throughout his long career, Dr. Jarowski was driven by the fact that his own family was ravaged by failing health due to diabetes and diabetic complications. At the age of 69, his father lost a leg, and his sister, too, lost a leg at the same age, 69. Both died shortly after. Even as a young man he believed the same fate awaited him, and his early research led Dr. Jarowski to begin carefully supplementing his own diet. As he refined his theories over the next sixty years, he became recognized for his discoveries and was awarded his last patent while 90 years of age. For his entire career, Dr. Jarowski worked at the highest scientific levels, understanding how elevated blood sugar triggers higher cholesterol and triglycerides and undermines cardiovascular health. Dr. Jarowski also pioneered a deeper understanding of how blood sugar reacts with our own tissues to accelerate the aging process and the diseases of old age. How does “normal” blood-sugar erode our health? Generally, I don’t recommend watching the news, but it is hard to deny the fact that our American health is declining. As Dr. Dean Ornish, MD, observes, due to poor diet and alarming weight gains, this may be the first generation in which children live a shorter life than their parents. We are losing 800,000 of our friends and neighbors every year to cardiovascular disease, and 500,000 each year to cancer. Sad to say, these numbers just keep going up, and other conditions are beginning to follow. As evidence, we are sliding deeper into a blood-sugar crisis that modern medicine can’t seem to see. As explained by Dr. Steven Joyal, MD, most of us are never diagnosed with a blood-sugar disease, but in time your health and my health is eroded by the daily blood-sugar ups and downs that are considered “normal.” This is where modern medicine fails to see the danger. To avoid the most common age-related tragedies, we all need to follow some simple rules. When you consume a meal, especially a high-carbohydrate meal, your blood sugar goes up, then later comes down. How high, and how often during the day are critical questions, and these blood-sugar swings often increase with age. Although your blood sugar level is important to watch, it is only one indicator of the damage that is being done. Less well-known to the public are the dangers of high insulin levels and high hemoglobin A1c. To take an example, maybe you have normal fasting blood-sugar levels. In this case, your pancreas may be healthy and strong, but it may be pounding your cells with insulin… pushing glucose and other nutrients into your liver, muscle, and fat cells - despite insulin resistance from your cells. Insulin resistance may go on unknown for years, but we now realize you are paying a heavy price. Simply put, glycation is the random, uncontrolled reaction of sugar with proteins and fats. The higher your sugar level, the faster the reactions. 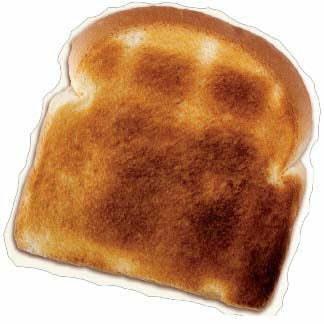 This reaction sometimes is known as the “browning” reaction - the same browning that happens when you cook a steak or toast your bread. This happens to the foods you cook, and it happens to you. The effect is the same. Glycation from elevated blood sugar “cooks” you at a slow, insidious pace. According to researchers in the field of aging, glycation end-products, known as AGEs, are one of the most important contributing factors in aging. As explained by the noted cosmetology expert, Dr. Nicolas Perricone, MD, the effects of glycation slowly show up in your skin. Even before you see dark discolorations, your skin becomes tough, leathery, and wrinkled, just like cooked meat. Unseen, though, is the damage to your nerves and brain, to your blood vessels, and to your eyes and kidneys. The traditional method of testing glucose and calling it blood “sugar” is incomplete. Glucose is the most common blood sugar, but there are several other sugars in your food and blood. Fructose is becoming the most dangerous. Both fructose and galactose (a component of milk sugar) are far more reactive than glucose as blood levels go up. The trouble is that Fructose is becoming a big part of our diet as high-fructose corn syrup invades more and more of the items on our grocery-store shelves. As Dr. Robert Lustig, MD, Professor of Pediatrics at UC San Francisco has stated, fructose cannot be used directly by cells in your body and probably acts as a poison before being converted in your liver to glucose. By this definition, fructose itself is not a nutrient and should be recognized as a possible promoter of diseases, such as obesity. The fact that fructose occurs naturally and abundantly in fruit does not change his conclusion. The bottom line is this: every sugar and starch you consume contributes to your background level of glycation. The consequences of glycation are serious and they accumulate, but they go mostly unnoticed and undiagnosed. Researchers have been puzzled by the fact that people who live over 100 years have hardly anything in common. Some smoke and drink, and some do not. Some have low cholesterol and some do not. We now strongly believe that below-average blood-sugar levels lead to lower cholesterol, lower triglycerides, less glycation, more youthful skin, and less heart disease. In other words, everyone lives longer when their vital organs are not being “cooked” by the waste products formed when you have too much blood sugar. Blood-sugar problems were first recorded over 3,500 years ago in an Egyptian papyrus. Although data is rather limited, the incidence of diabetes appears to match the ancient Egyptian dependence on starchy grains for food. Mind you, the Egyptians ate whole grains… not refined grains… but consuming the bran in whole grains did not seem to have spared their lives. In those ancient times, blood-sugar diseases would have been even more terrifying than they are today. Then as now, as high-insulin levels and high hemoglobin A1c did their vicious work, victims gradually acquired a terrible condition characterized by constant thirst, frequent urination, and rapid loss of weight. Back then it seemed almost as though victims were being dissolved by all the fluid passing through them. By the middle ages, careful examination of urine had become a common tool for diagnosing illness, just as it is now. Because of the unusual smell when excess blood-sugar spills into your urine, with a smell and color resembling honey, physicians could easily diagnose a blood-sugar disorder. The problem was that it was too late. By the 1920’s, insulin had become available and raised people’s hope, but even then some researchers knew that insulin was no solution to the larger problem; it was a band-aid. Insulin was prescribed only in the most severe cases, when all else had failed, and insulin is far from a benign remedy. The true goal is to start as young as possible and keep your blood-sugar levels within a healthy range. This challenged has not changed. We all know that proteins are chains of amino acids. Literally, amino acids are connected together, end-to-end, in long chains that coil and flex in ways that hold you together and allow you to perform work. Every protein, however, whether it comes from beef or chicken or pinto beans or cheese, has a unique composition of amino acids… more of some amino acids and less of others. Some are essential, some are not. Early on, it became evident that proteins are something of a Trojan Horse. They can change character once they are inside you… first the proteins split into amino acids, and then these same amino acids split into sugar and ammonia (the same chemical found in window cleaners). So you see, even if you do not consume sugar or starch, if the amino-acid balance of your meals does not match what your body needs, your blood-sugar and insulin levels can rise. Plus, your kidneys and liver must deal with higher levels of nitrogen waste products - composed of the waste ammonia, uric acid, and urea. The work on amino acids originally began with a mandate and funding from NASA to formulate an ideal supplement for astronauts, long before their dream of reaching the moon. This began by taking 60 high-protein foods that Americans commonly eat and then identifying the essential amino acids most frequently lacking. After many years of study and ground-breaking work in blood analysis, it was discovered that four amino acids: L-Lysine, L-Valine, L-Tryptophan, and L-Methionine nearly always are the culprits, the ones most lacking in our meals. In any meal there nearly always is at least one in short supply. The proper ratio by which these same amino acids should be supplemented was next on the research agenda. The hypothesis simply was this: by supplementing these four essential amino acids in their proper ratios, before a meal, more of the protein in a typical meal could be utilized by your body. Furthermore, insulin efficiency would be improved, and fewer excess amino acids would be converted to waste ammonia and sugar. Coincidentally, three of these four essential amino acids independently suppress the elevation of blood sugar. The only other amino acid to rival these four in maintaining healthy blood-sugar levels is a non-essential amino acid that can readily be produced by your body. The combination of these discoveries became the basis for the very first successful blood-sugar formulas and the awarding of several early patents.